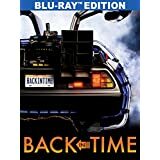 The documentary "Back in Time" is awesomely coming out on DVD and Blu-ray one day after the October 20, 2015 releases of the uber-awesome (and soon-to-be-reviewed) 30th Anniversary DVD and Blu-Ray sets of the "Back to the Future" trilogy. The facts that your sometimes humble (and almost universally frugal) reviewer is getting the $90 limited-edition Flux capacitor Blu-ray edition (rather than other less expensive 30 anniversary sets) of the "Future: trilogy and is eagerly awaiting watching the 26 episodes from the '90s animated "Future" series in that collection provides some clue regarding his personal regard for the subject of "Time." The participation of Michael J. Fox and EVERY other principal actor and behind-the-scenes person of "Future" is icing on the cake. The aforementioned interviews are the highlight of "Time." Producer Steven Spielberg discussing his prior affiliation with writer/director Robert Zemeckis and writer Bob Gale (both of whom also offer insights in "Time") and the extended process of making "Future" a reality is particularly interesting. Gale describing his inspiration for the film provides another fanboy delight. The following YouTube clip of the "Time" trailer aptly features the aforementioned interviews; it further provides a sense of the exceptional awesomeness of "Future." Other behind-the-scenes segments discuss the well-known development of having Eric Stoltz film a great deal of "Future" before replacing him with Fox. 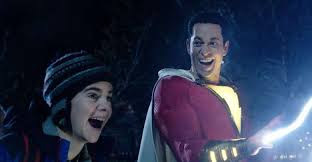 Although the interviewees in "Time" attribute the switch to the humor of Stoltz not being consistent with the film, it is also widely reported that Stoltz being very difficult is the reason for his termination. One of the more amusing elements of this is a report of method-actor Stoltz insisting that everyone call him "Marty" while on the set. For his part, Fox shows his usual charm in the segment of his "Time" interview in which he describes working on his "Family Ties" sitcom during the day and shooting "Future" all night. His story of having teamsters roust him out of bed and assertively wake him up is especially amusing. As an aside, the footage of Stoltz as Marty appearing as an extra in the 25th anniversary sets of "Future" creates a reasonable expectation that the 30th anniversary sets will do the same. "Time" producer (and obvious "Future" fanatic) Jason Aron additionally devotes substantial screen time to the Delorean car that is so prominent in "Future." We learn the story of Universal Studios restoring one of the original cars from the films, of fans doing the same with other Deloreans, and how Fox is putting one to good use to fund research into a cure for Parkinson's Disease. Proudly displaying the genie bottle that is a gift from "I Dream of Jeannie" star Bill Daily on his mantle helps your reviewer understand the pride of owning a "Future" Delorean. We further get a wonderful "The Goldbergs" "1980-something" style story about ""Future" straight from the mouth of the real Adam Goldberg. His contribution to "Time" also extends to having the Leah Thompson interview filmed on the "Goldbergs" set. Despite the above-described awesome elements in"Time," absence of footage of common folks who are fans is a notable omission. At least a few minutes of discussion of the aforementioned really fun animated series, which had Christopher Lloyd and several prominent voice actors, also would have been apt. Personal stories of "Future" are not being so interested in it during its initial run and going to see it at a second-run theater with a friend whom the film immediately grabbed. (Candor requires admitting to only going to be a friend and because of intense boredom.) Obviously, seeing the film changed everything. Moving ahead four years, I remember begging friends to drive in a blizzard to see "Future" II on a old-style big screen on its opening night. Getting stuck in snowbanks at least three times and skidding just as frequently did not deter us. (They did get sick of my regularly stating "Roads? Where we were going, we do not need roads.") Seeing the last-minute cliffhanger and the teaser footage of "Future" III was equally frustrating and exciting. Moving ahead a few decades, thoughts that it really needs to be October 20 (which is the release date of the 30th anniversary set) are increasingly common and verbally expressed. It is highly likely that scads o' fans have similar experiences. Perhaps Aron can go back a few years and add in footage of everyday fans as well as include more coverage of the animated series than a passing remark. Anyone with questions or comments regarding "Time" or "Future" is strongly encouraged to email me; you can also connect on Twitter via @tvdvdguy.